Tyler Animation Blog: My house is on fire! . My house isn't on fire. Though it's getting pretty close. 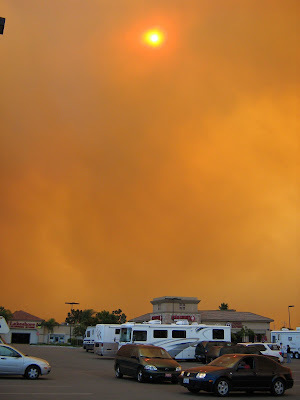 Took these pictures from San Marcos after evacuating my house in Escondido, just behind the smoke.